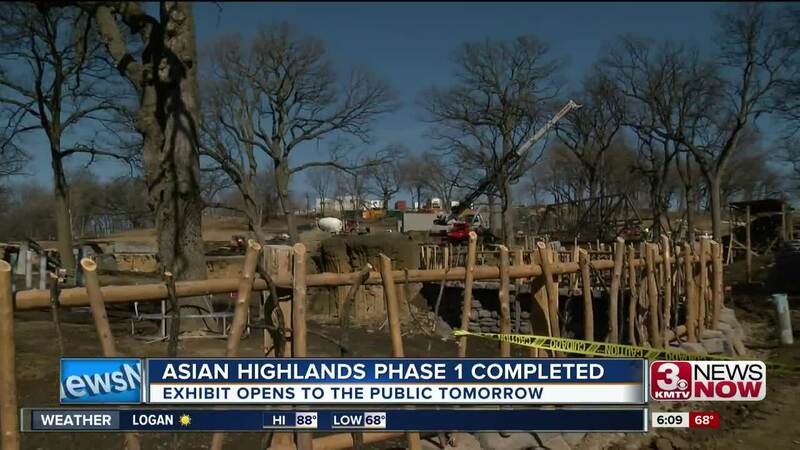 The Asian Highlands Exhibit is slated to open Omaha's Henry Doorly Zoo on Thursday, ahead of a busy Memorial Day weekend. 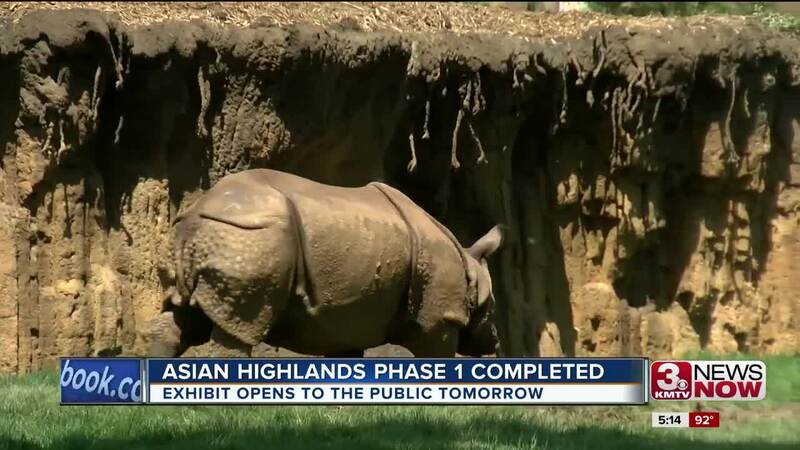 Asian Highlands is a $22-million exhibit set in the Himalayan mountains and grasslands of Northern India. The entrance is a replica of an upper Himalayan temple ruin. The first thing you’ll see is the home of the Red Panda abandoned hillside settlement overtaken by nature. All of the animals in the Asian Highlands don't mind cold weather and will be on exhibit almost year round. Pere David’s Deer and Indian Rhinos share a space designed after Nepal. “The worst he (the rhino) has done is approached them, displaced them and they sort of yawn, get up, and move ten feet and lay back down,” Pate said. It's a panoramic view of the grasslands with large shade trees, ephemeral streams, and sand pits. But the best place to look for the rhinos is in the mud. The rhino area also includes a 3,800 square-foot barn with soft floors, skylights, infrared heating and showers. This is just a quarter of the eight-acre exhibit. In every exhibit, the zoo tries to build something interactive for young kids because they have a hard time looking at things 50 yards away. “We are thinking about a beach with sand and a drip from the mountain so they can fill buckets with water,” Pate said. Phase two is expected to open Spring 2019 and includes habitats for sloth bears, tigers, snow leopards, takin and Chinese goral.